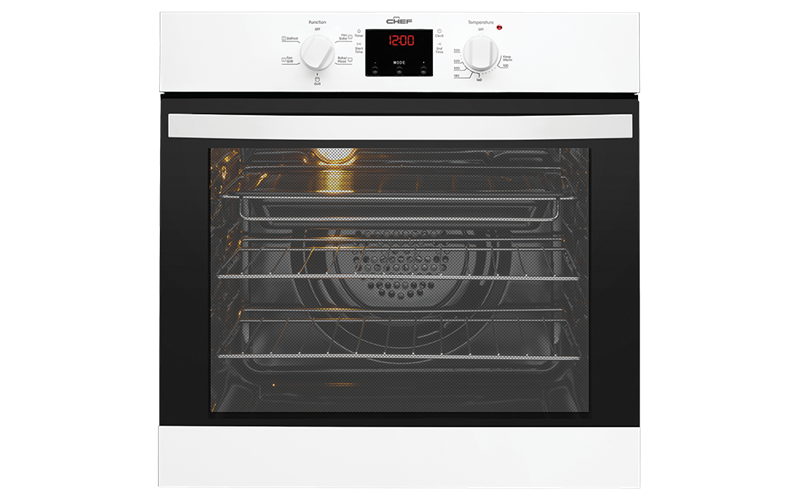 Electric Single Oven is rated 4.0 out of 5 by 6. Rated 4 out of 5 by N B 1 from Good oven Great basic oven, excellent internal size despite being standard size. Suits my needs perfectly and cooks well. Just still getting used to baking etc with it but very good value. Rated 5 out of 5 by Cherylf from Great Value. So happy with my chef oven, loving fan forced cooking. Always purchsed, the only brand my Mum ever bought, like a trusted old friend. Rated 4 out of 5 by Smart Shop from Everything I expected for the price. As kitchen has only just been installed haven't had too much time to use it. But it seems to be everything I expected.